Four years ago, The Magnetic North announced their arrival when they released their debut album Orkney: Symphony Of The Magnetic North in May 2012. It was released to widespread critical acclaim, and immediately was hailed one of the best albums of 2012. However, the inspiration for the critically acclaimed Orkney: Symphony Of The Magnetic North came from the most unlikely places. The idea for Orkney: Symphony Of The Magnetic North came to Orcadian, Erland Cooper when she was asleep. That was when she claims to have been visited by the ghost of another Orcadian, Betty Corrigall. After this nocturnal visit was over, Erland’s visitor left her a present, an album’s worth of song titles that eventually became an imagined soundtrack to the island of Orkney. This became Orkney: Symphony Of The Magnetic North, a beautiful, elegiac and melodic album which introduced The Magnetic North to the record buying public. 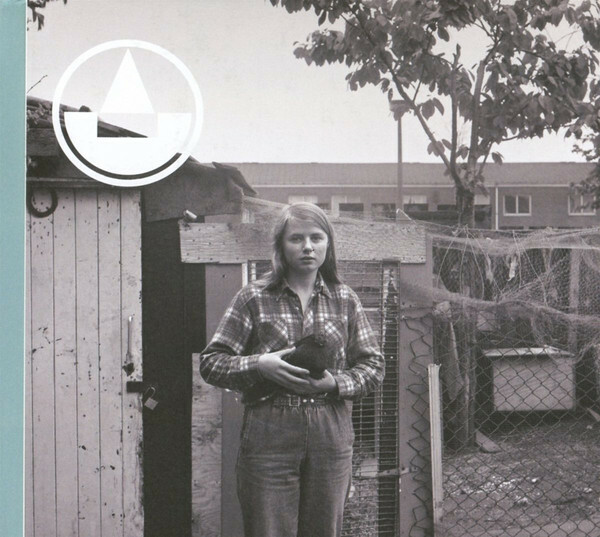 Four years layer, and The Magnetic North recently returned with a new album, that was inspired by another unlikely source, the new town of Skelmersdale, in North West England. Skelmersdale’s roots can be traced back to the New Towns Act 1946. It made provision for new towns across the Briain. The first wave of new towns began in 1946, and right through to 1950, helped alleviate housing shortages in post war Britain. Eleven years later, and the second wave of new towns began in 1961. This was when Skelmersdale was granted new town status. 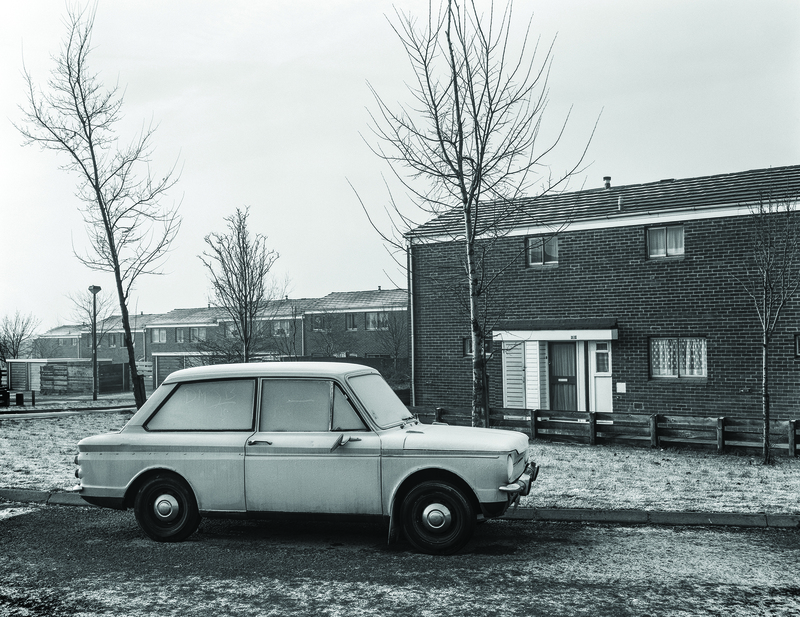 Just over twenty years later, Skelmersdale became the home of one of the future members of The Magnetic North. 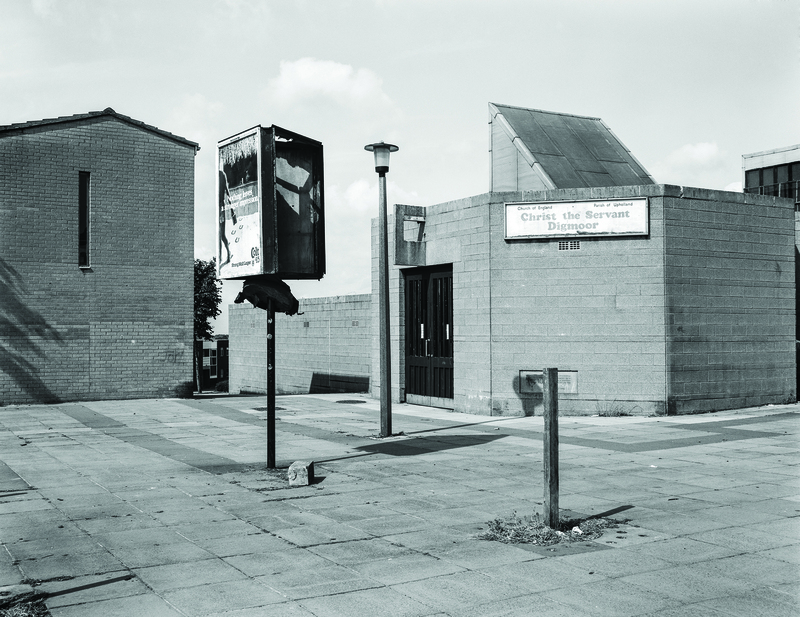 By the early eighties, Skelmersdale was the official UK home of the Transcendental Meditation movement. Skelmersdale situation in the middle of the UK made it the ideal place for the Transcendental Meditation movement to build the country’s first maharishi village. Soon, Skelmersdale was home to families from across Britain, who are looking to live peaceful and peace-promoting lives. This included the Tong family, who moved to Skelmersdale in 1984. One of the Tong family was Simon, who nowadays, is a member of The Magnetic North alongside Erland Copper and Hannah Peel. That was still to come. Back in 1984, Simon and the rest of the Tong family made the short journey from Bolton, to the spiritual nirvana of Skelmersdale. Simon’s father had embraced the whole Transcendental Meditation movement. However, Simon hadn’t quite embraced Transcendental Meditation. That came later: “when I got to 16 and started practising it for a few years, it worked. 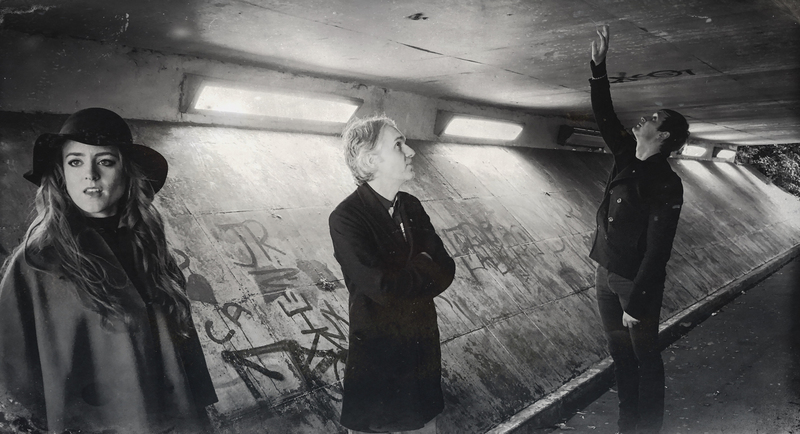 I became a lot less miserable and angry.” However, little did Simon realise that his teenage years in Skelmersdale would one day, inspire an album. Nearly twenty years later Simon Tong, Erland Copper and Hannah Peel were member of The Magnetic North. It was a vehicle for their occasional collaborations. Their debut album was Orkney: Symphony Of The Magnetic North, which was released to critical acclaim in 2013. With time in their respective busy schedules, the three members of The Magnetic North were looking for inspiration for their sophomore album. When Simon began reminiscing about his former life in Skelmersdale, this proved to be a eureka moment. 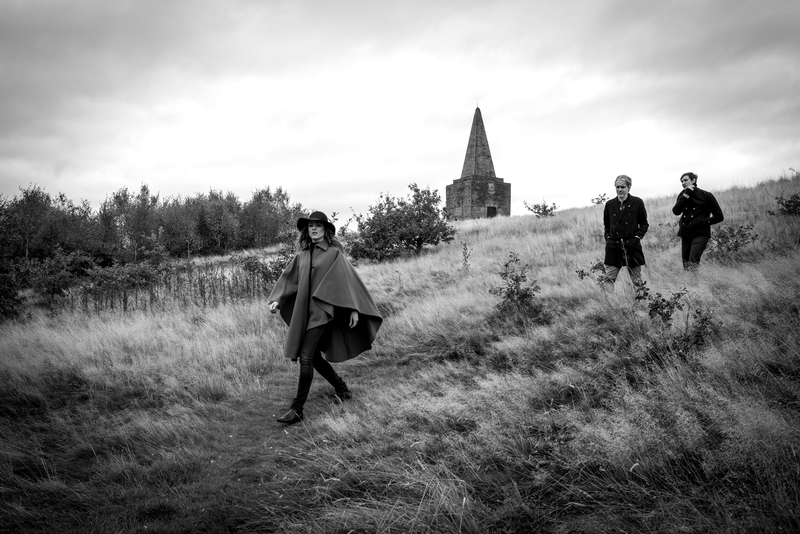 Hannah Peel suggested the band look to Skelmersdale for inspiration. This was the genesis of The Magnetic North’s sophomore album Prospect Of Skelmersdale, which was recently released on Full Time Hobby. Hannah Peel suggested that the three members of The Magnetic North should head to Skelmersdale, in the hope of finding musical inspiration. By visiting Simon’s home town, they hoped that they would get some sense of what the town was about. So a visit to Skelmersdale was planned, with Simon Peel providing an alternative road map. This is the one the sat-nav providers doesn’t provide. Each place on the map was accompanied by a paragraph of humorous comments. Simon didn’t hold back, and hilarity ensued. Unsurprisingly,the initial attempts to write an album failed. So The Magnetic North tried a new approach. Having failed to find inspiration in Skelmersdale, The Magnetic North decided to visit a place where Simon spent childhood holidays, Eskdale. This was where The Magnetic North began rewriting their sophomore album. Two key components of the album The Magnetic North were hope and positivity. To write the album, The Magnetic North left no stone unturned. They studied old news stories, the town’s modern history, relied upon distant memories and even drew inspiration from road signs and graffiti. Gradually, the three members of The Magnetic North carefully crafted eleven new songs. They told the stories of the hope that imbued the new arrivals, and the desperation of those who wanted to leave. This recording The Magnetic North realised, would become a sonic time-capsule, which documented a time and place in a town’s history. They were brought aboard to augment The Magnetic North. Among the addition musicians were drummer James Field; Alex Card on bass clarinet and clarinet and flautist Daniel Shao who also plays piccolo. Laura Grove played piano and added vocals on the track that closed the album, Run Of The Mill. Once the twelve songs on Prospect Of Skelmersdale were recorded, Erland Cooper mixed the album. All that was left was for Guy Davis to master Prospect Of Skelmersdale. Now The Magnetic North’s sophomore album was ready for release. After nearly four years, The Magnetic North returned with their much-anticipated sophomore album Prospect Of Skelmersdale. It had been a long wait, but was Prospect Of Skelmersdale worth it? Opening Prospect Of Skelmersdale is Jai Guru Dev,which was the name of the original guru to the Maharishi. Just melancholy strings usher in Hannah Peel’s tender, hopeful vocal. Soon, an organ drones, providing the perfect counterpoint to the vocal and strings. Then at 1.06, a sample of a speech from the opening of the maharishi village enters. Ethereal harmonies float above the sample. 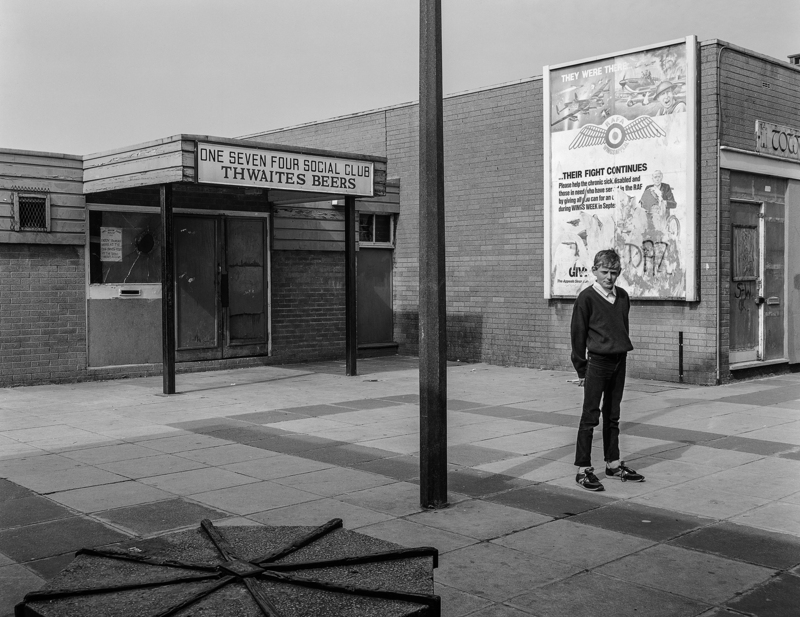 It’s is a reminder of an age when there was hope for the future in Skelmersdale and other new towns. As the sample drops out, the arrangement becomes shrill and dramatic, before an alarm clock rings. It’s a wakeup call, and a reminder that the hopes and dream of bright new future has gone badly wrong. as nowadays, people are desperate to leave Britain’s new towns. A Death In The Woods is a traditional song, which The Magnetic North give a makeover. The introduction is akin to an eerie musical merry-go-round. It provides the backdrop for Simon’s vocal, as he delivers the dark, cinematic lyrics. Soon, though, harmonies, the rhythm section and strings have been added. They play their part in multilayered arrangement. That’s until the arrangement is stripped bare, adding to the drama. Filters hide the arrangement is it threatens to reappear. When it does, it’s loud, too loud. Having said that the mixture of instruments and harmonies works, and works well. They add an element of drama, to this cinematic song. What sounds like snap, crackle and pop of worn vinyl opens Sandy Lane. Meanwhile, A piano is played deliberately, strings sweep as a sample of Fyfe Robertson advertising the delights of Skelmersdale is added. When it drops out, all that’s left are Hannah and Simon’s tender, heartfelt vocal. Soon, strings and a flute, piano and weeping guitar are added as this beautiful, melodic song meanders along. When the vocals drop out, the instruments are added to the arrangement, and at 2.54 grows in power. The rhythm section join the strings, woodwind and punchy harmonies. One thing that doesn’t change is the earlier beauty, which is almost omnipresent during this journey down Sandy Lane. Another sample from Skelmersdale’s past opens Signs, a song that funnily enough, was inspired by road signs. As the sample plays, rueful strings play. However, when the sample drops out, there’s almost a hip hop influence as crispy drums and what sounds like a scratch combine. Thankfully, The Magnetic North continue their unmistakable fusion of folk and indie pop. As drums crack and scamper, vocals join with strings, guitar and keyboards. Gradually, the arrangement builds. The vocals, strings and drums playing leading roles in creating sweet, poppy hooks in this homage to Signs. The ethereal beauty of Hannah’s vocal opens Little Jerusalem. Accompanying her, are quivering strings, which combine with an organ to create a slow, dramatic backdrop. Later, when the vocal drops out, the arrangement drifts slowly and dreamily along. Just drums, lush strings and percussion combine with chirping guitars. Then when Hannah returns, swathes and swells accompany of her best and most beautiful vocals along. As Remains Of Elmer unfolds, samples accompany a chiming, crystalline guitar while drums crack, clatter and resonate. Meanwhile, Simon and Hannah deliver the cinematic lyrics. The Magnetic North’s sonic palette is a combination of instruments, effects and vocal. They’re used effectively, painting pictures, and later, adding drama. This comes courtesy of swathes of urgent sweeping strings, harmonies and the rhythm section. They’re a potent combination, that create one of the highlights of Prospect Of Skelmersdale. Thunderous drums open Cergy-Pontoise, while guitars and keyboards combine. Soon, they’re joined by strings. By then, the drums have been reigned in, and are no longer dominating the mix. Especially when Hannah’s dreamy vocal enters. She’s accompanied by rumbling drums, sweeping strings, a clarinet, a dreamy guitar and harmonies. Then when the vocal drops out, the multilayered arrangement takes centre-stage. Instruments are added, disappear and then reappear. So does Hannah’s vocal, albeit briefly. All too soon, Cergy-Pontoise is over, and all that remains is the memory of The Magnetic North at their melodic and inventive best. A lone piano plays slowly on Exit, adding a melancholy hue. Soon, though, it’s all change as the piano gives way to an acoustic guitar, sci-fi sound and a sample of sat-nav. Meanwhile, Simon whose driving towards the Exit, delivers a wistful, crestfallen vocal. He’s accompanied by Hannah, synthetic drums, sci-fi sounds and the piano. They’re unlikely bedfellows, but work well and accompany Simon’s soul-baring vocal on another cinematic song rich in imagery. The arrangement to The Silver Birch literally floats and flutters along. A piano and clarinet combine with a guitar and handclaps. They set the scene for Simon’s vocal. It’s delivered with a degree of urgency, while the instruments dominate the arrangement. Simon’s vocal sits back in the arrangement, which now features strings and harmonies. Soon, the baton passes to Hannah, and she delivers a tender vocal. By then, the arrangement has grown, becoming almost grandiose and symphonic. Later, the arrangement is stripped bare. All that remains are the woodwind, which add a poignancy to one of the best productions on Prospect Of Skelmersdale. Distant drums combine with percussion and a piano on Northway Southway. They’re joined by strings, before Simon and Hannah share the lead vocal. Their vocals sit well together, while the arrangement builds and grows. Playing leading roles are the piano strings and guitar. They create the perfect foil to the vocals, on this beautiful, emotive ballad. My only quibble is the addition of a sample at the very end of the song, which takes away from the beauty, emotion and drama. A cover of George Harrison’s Run Of The Mill closes Prospect Of Skelmersdale. This is fitting, as George Harrison was born in Liverpool, just sixteen miles from Skelmersdale. Joining The Magnetic North, is Laura Groves who plays piano and deliver a tender, heartfelt and vocal. She’s accompanied by washes of keyboards, strings and harmonies. They create an understated backdrop that allows Laura Graves to shine, on another of the album’s highlights. After four long years, The Magnetic North return recently with their eagerly awaited sophomore album Prospect Of Skelmersdale. It finds The Magnetic North picking up where they left off on Orkney: Symphony Of The Magnetic North. They create another album of beautiful, elegiac and melodic music. Hooks certainly aren’t in short supply.The music on Prospect Of Skelmersdaleis also cerebral, cinematic and infused with hope and positivity. They’re the two threads that run through the album. Prospect Of Skelmersdale wasn’t an easy album to write. After a false start, The Magnetic North retired to Eskdale, where Simon Tong had holidayed as a child. That was the start of a search for musical inspiration. The Magnetic North left no stone unturned. They studied old new stories, the town’s modern history, relied upon distant memories and even drew inspiration from road signs and graffiti. Gradually, the three members of The Magnetic North carefully and lovingly crafted eleven new songs. These songs told the stories of the hope that imbued the new town’s arrivals, and the desperation of those who wanted to leave. That’s the case with Skelmerdale, and all of the other new towns that were created in 1961. It’s a fitting followup up to Orkney: Symphony Of The Magnetic North, and one that has been worth the four year wait. The Magnetic North have created another carefully crafted of music that’s variously beautiful, elegiac and ethereal as well as cerebral, cinematic and melodic. 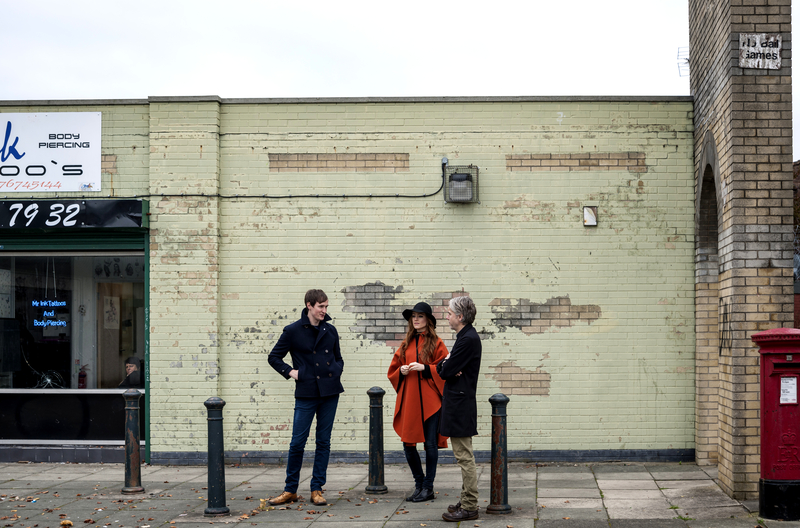 For those that have yet to discover the delights of The Magnetic North, then Prospect Of Skelmersdale is perfect starting place and is a tantalising taste of what the talented trio are capable of. ← THE DAMNED-MACHINE GUN ETIQUETTE.